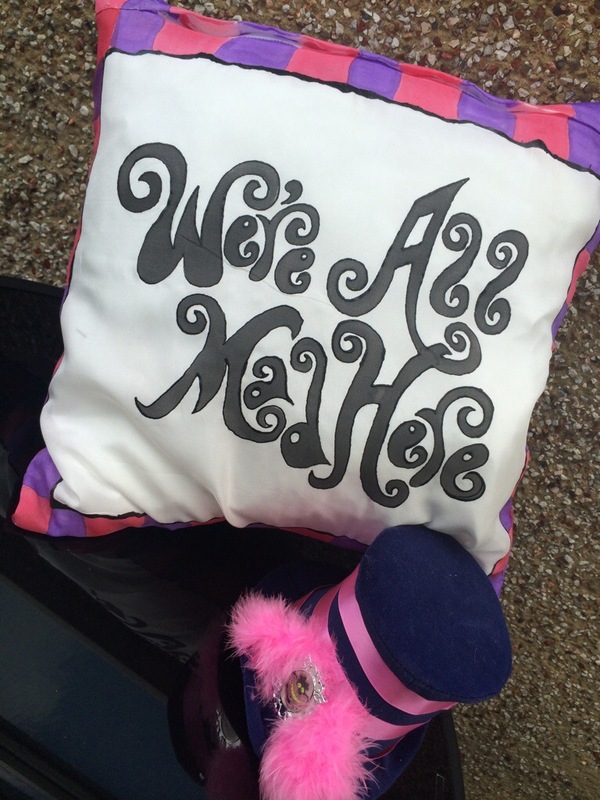 I go through phases creatively and can often flit from project to project when I am not wholeheartedly inspired. 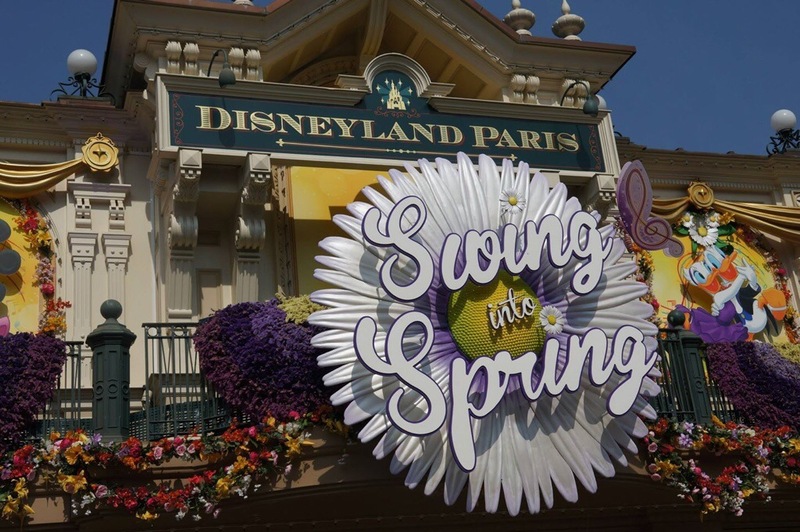 However, since visiting Disneyland Paris for the Swing into Spring festivities in April this year I have been overflowing with creativity and loving every minute of it. 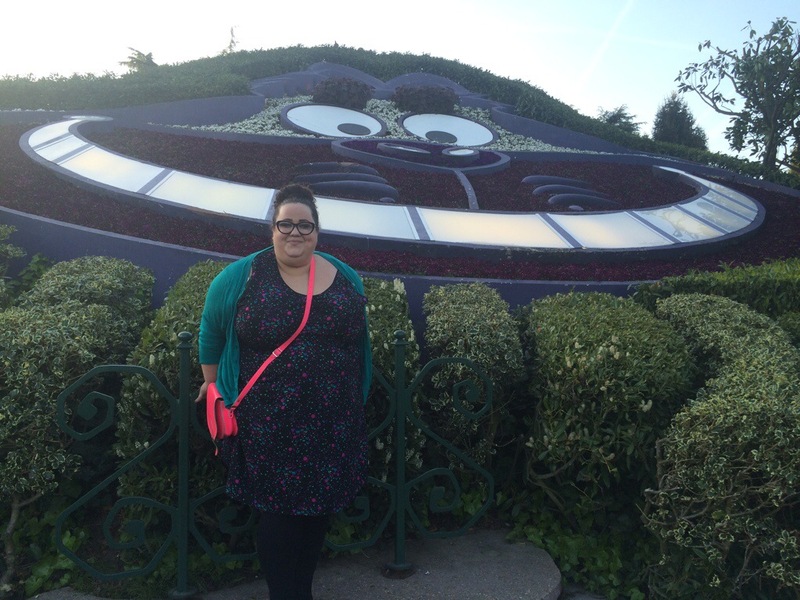 One of my favourite attractions at Disneyland Paris was the Alice in Wonderland Maze. Now, I know that this attraction isn’t for everyone and I know that it could do with some work and a lick of paint here and there, but I loved it. 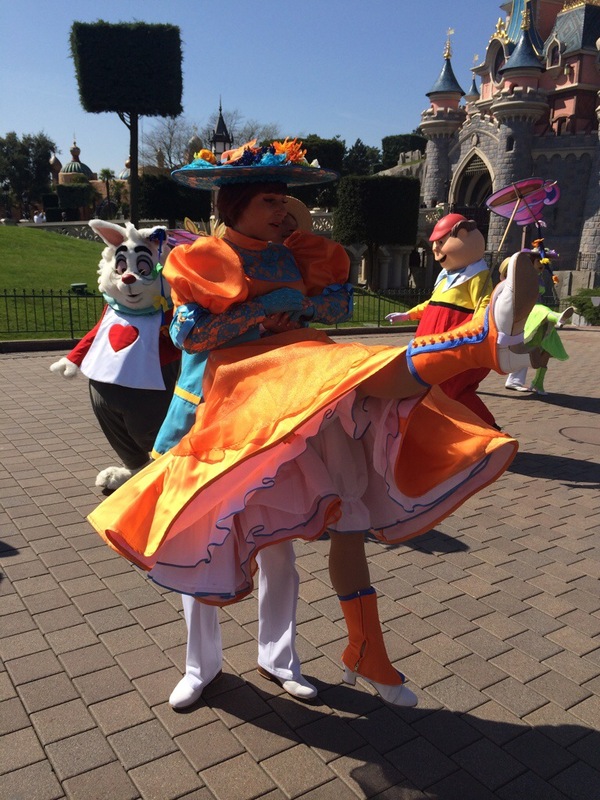 Alice in Wonderland has been one of my favourite books and films since I was young and I actually skipped around the maze singing ‘We’re painting the roses red’ and behaved like a giddy child which was fabulous! 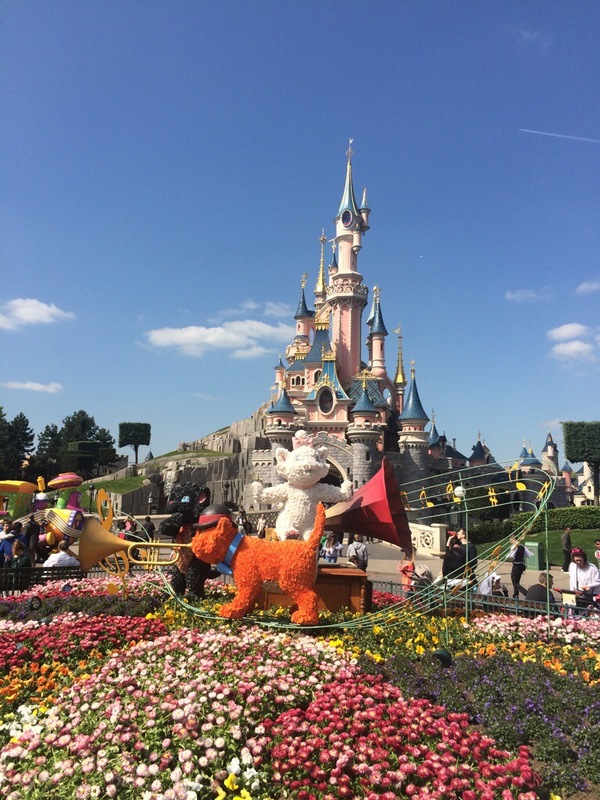 The Giant Cheshire Cat face with the spinning eyes in the flowerbed is so lovely, the mad hatters chairs for photos are awesome and the view from the top of the castle was pretty incredible too. 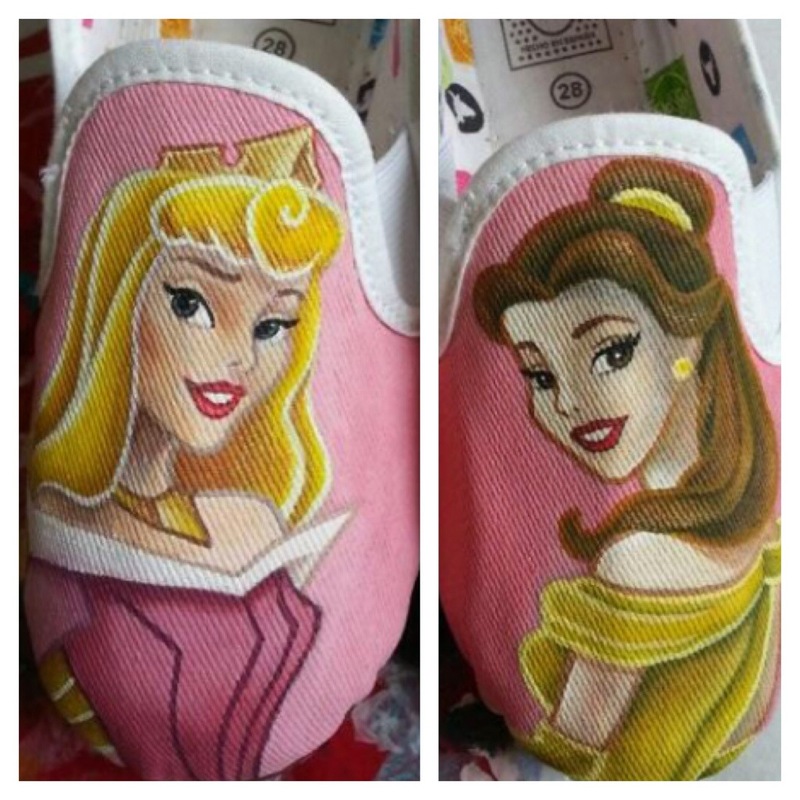 If you have taken the time to look at my Etsy store you will see that all of the items listed at the moment are Disney themed. The majority of these are hand painted silk designs from scarves to pillow cases and I am working on a few new bits at the moment that will be uploaded when I finish them. 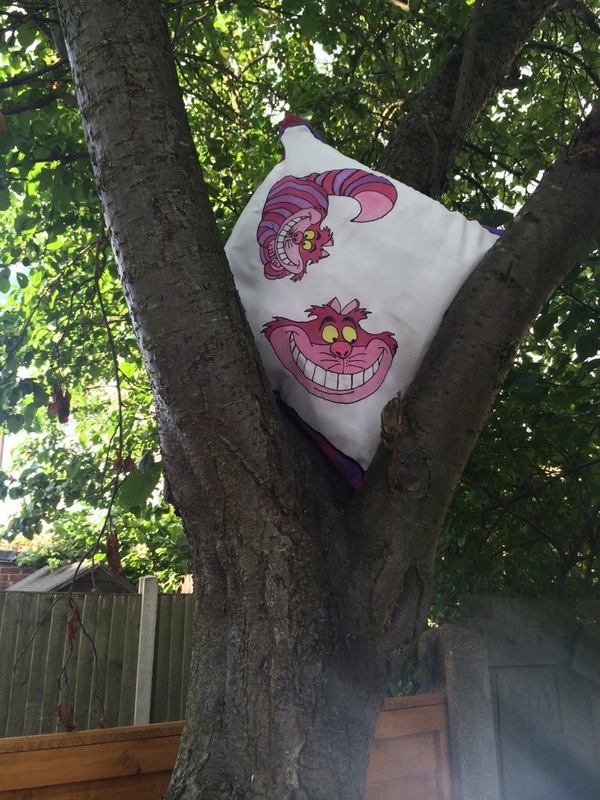 I am particularly proud of the Cheshire Cat silk cushion cover that I painted all by hand, it turned out way better than I expected it to and I just love the effect of the writing on the back of it as it means it can be displayed either way. When you are a creative person, being really inspired is like having a new love, you eat, sleep and drink ideas and probably bore your friends to tears with the fact that everything that comes out of your mouth is about what you’re working on currently or what you’re planning to do next. I find myself spamming all of my social media with pictures and links I’ve found that inspire me and though I know it’s boring to most people – I can’t stop! 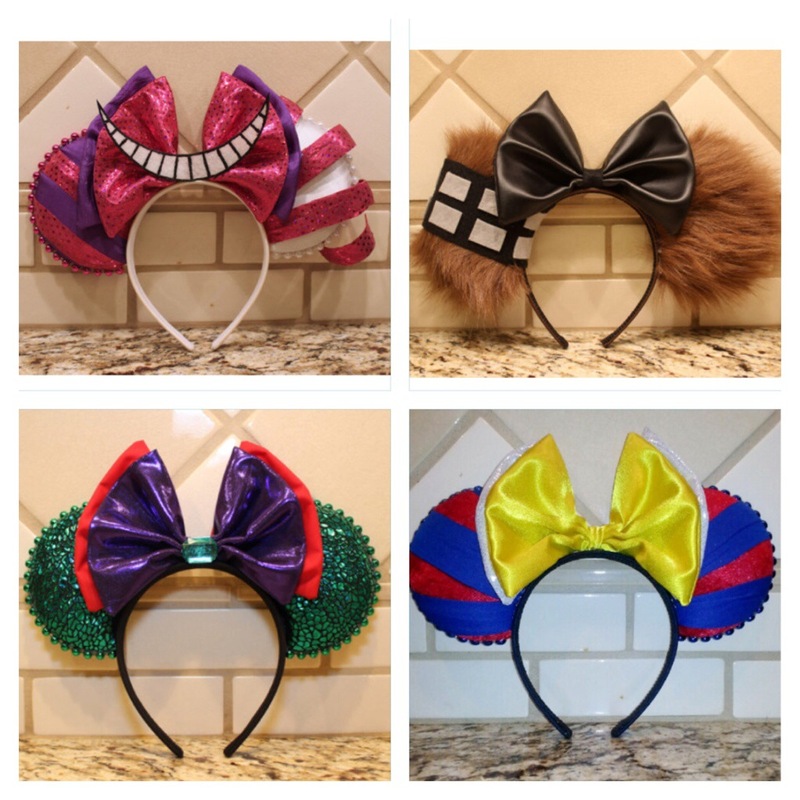 The reason I actually started my Etsy store is to save the money to get back to Disneyland next year. It was such an amazing experience that I am hooked and want to do it again. Sadly, having not found a millionaire boyfriend yet, I need to make the money myself. I’m hoping that people with love what I’m doing as much as I love making it and help me find my way back to my inspirational home by buying what I’ve made. Have you visited Etsy yet? Are you as hooked as I am? It is basically a marketplace for creative and imaginative minds that make the most bizarre and incredible designs and is my idea of heaven. I spend hours upon hours searching different key words and browsing through shops of wonder and have even brought myself some awesome pieces on there. As a little introduction to those of you that may be new to Etsy, I thought that I would show you a few of my absolute favourite stores and sellers – I hope that you find this as useful as I do!! 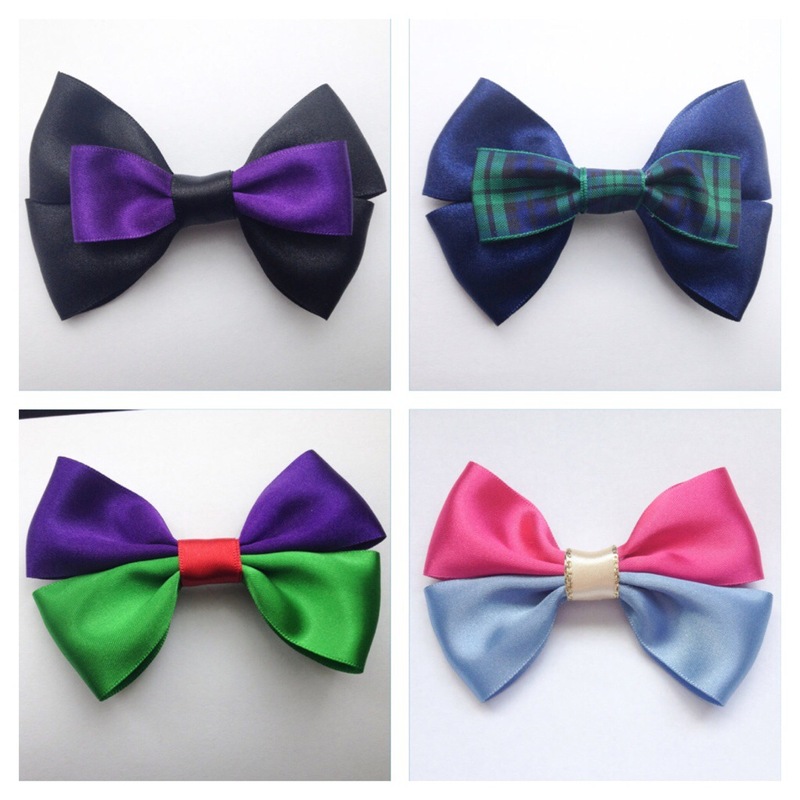 This store sells the most amazing hand made Disney Inspired hair bows. The quality is second to none and I love the ones that I own. It is owned by Shannon, who is super friendly and lovely and will work with you to design something if you can’t see what you’re looking for! Can we all just take a moment to admire Courtney’s sensational talent?! This store is currently closed due to the unsurprising high level of orders that she has, but is definitely worth following on Etsy for when she’s back! Not only does Courtney sell shoes, she is an amazing artist too and has some beautiful prints for sale of work that she’s done. These ears make me so happy!! The attention to detail and creativity is just fabulous and makes me want to buy every single pair they list! 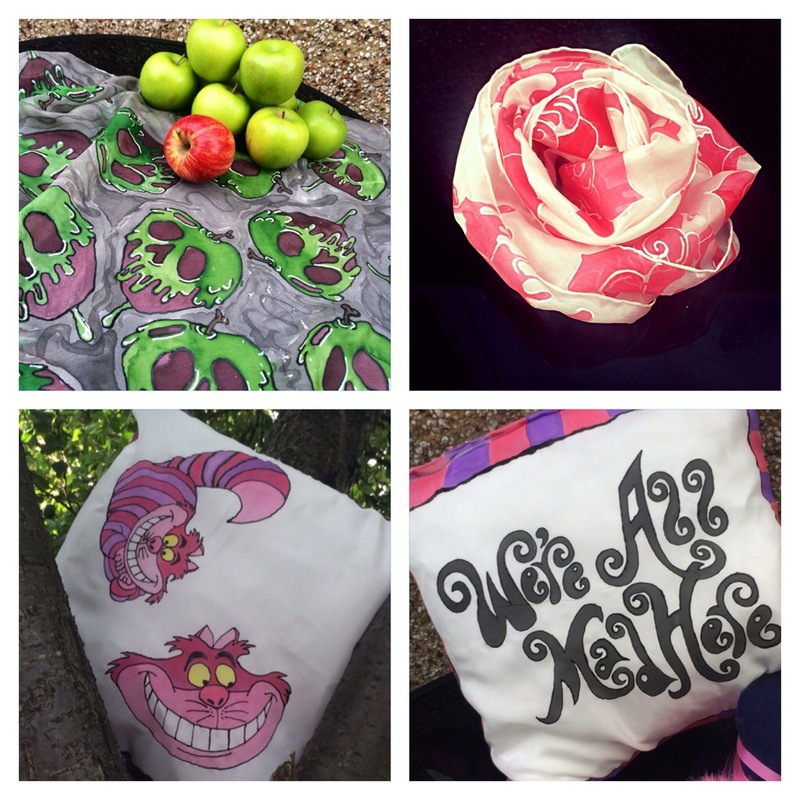 I will own the Cheshire Cat ones in the very near future! I work really hard designing and creating items that I love in the hope that you guys will too. It’s a relatively new store and as such there aren’t as many items in it yet as I’d like there to be – but bear with me, I’ll get there!! I do offer a bespoke design service so if there is something that you want then please do get in touch and we can work together to create the item of your dreams! I’ll revisit my love of Etsy at some point in the future as this is only the tip of the iceberg of shops I love! What’s your favourite Etsy shop?